We are delighted to introduce our major sponsors for SENIORS EXPO 2017, Regis Aged Care, who are providing funding support for the SENIORS SHOWCASE at the EXPO on 2 June 2017. Operating since 1994, Regis Aged Care is committed to the need of care choice as we age including home care, retirement living, day therapy and residential care. 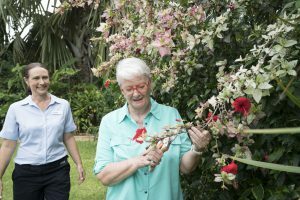 Regis operates home care, day therapy and residential care in Tiwi close to Royal Darwin Hospital, Casuarina Square and the beach. Our community is passionate about providing the support you need to live the life you want on your terms. With various Home Care packages to choose from including companion services, transport and home help, we can arrange a specialist to enable you to live as comfortably and confidently as you can in your own home. Our residential home Regis Tiwi offers respite and permanent care in single, double and shared rooms.